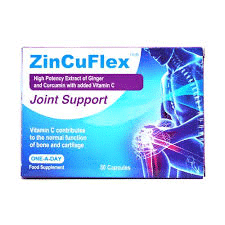 ZinCuFlex is a new health food supplement with proven benefits for joint health. 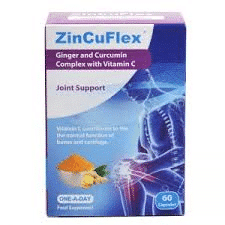 Combining the power of Ginger, Curcumin and vitamin C, ZinCuFlex capsules have been shown to support joint health. Vitamin C plays an essential role as it is recognised as helping to contribute to normal collagen formation and function of bones and cartilage. This product is perfect for anyone looking to support their joint health. The products are available from New Harmony Health Food Store in Tuam County Galway, both over the counter or through our online shop nationwide. Feel free to contact us if you have any questions regarding our products.